The bombshell dropped mid-November, 2013, just as we were getting ready for the American Society of Hematology meeting in New Orleans. That was five months ago and until this report no disclosure of surrounding events had been made public. Days before filing for final FDA approval of Fedratinib (SAR302503), the French drug giant Sanofi dropped the bomb. It was terminating JAKARTA, its global Phase III trial of SAR302503 in myelofibrosis. The leading contender to unseat Incyte’s Jakafi in the JAK2 inhibitor derby, pulled out of the race without warning. Behind the move were unreported deadly effects of the drug — death and severe disability due to encephalopathy. An immediate result of the blow-up was instant dismissal of hundreds of patients from the trial, without notice, without support. Principal investigators running the trial were as much in the dark as the rest of us. This abrupt, high-profile dominated MPN social media discussion and eroded patient confidence in the clinical trial process. MPNforum immediately requested from Sanofi and the FDA documentation of events leading to this decision. What happened? Why did MPN patients die and suffer in this clinical trial without raising alarms? Why were MPN patients given this drug a full three months after a documented case was published in the medical media and more than six months after the deadly potential of Fedratinib was independently assessed? After receiving evasive and partial answers from Sanofi and total rejection of our Freedom of Information Act (FOIA) requests from the FDA, (see article this issue) we undertook a formal FOIA appeal and an independent investigation. Over the past five months, while pressing for a information from the FDA and Sanofi, we interviewed patients, clinical trial investigators, consultants, and corporate insiders. From combined sources we have pieced together what probably happened to result in Sanofi’s abandonment of its JAKAFI trial and all further investigation of SAR302503. There are three levels of information in this report: (1) Facts confirmed by more than one reliable source; (2) Information uncovered from people and/or documents consistent with the emerging story but unconfirmed; (3) Anecdotal evidence from third party sources substantially reasonable but possibly hearsay. Constructing an accurate timeline without supporting documents has proven impossible, but we can reasonably approximate the passage of events. Until the FDA fulfils its clear constitutional obligation to release information in the public interest to media, and given Sanofi’s continued limited and circumspect disclosures, these conclusions represent our best take on the dismal events of Fedratinib’s collapse. In June, 2012, a myelofibrosis French patient in the JAKARTA trial began to vomit and demonstrate WE symptoms. Encephalopathy was later confirmed. The patient may have been the first casualty. August, 2013, Korea: A patient vomiting in a Korean trial of SAR302503 was first considered suffering from something unrelated to the drug. Later this incident was upgraded to Wernicke’s encephalopathy likely associated with SAR302503. The third case started in Belgium, in a clinical trial of 500mg of SAR302503 to check ECG activity of patients with solid tumors. On October 14 an older woman, suffering from head and neck cancers, complained of fatigue, anorexia, and confusion, all symptoms of Wernicke’s encephalopathy. She died one week later, October 21. Her death was attributed to the drug and reported to the overseeing Data Safety Management Committee and on to the FDA. We believe there was one death and at least seven cases of WE during the JAKARTA trial period. Except for the woman who died in the Belgium trial, all other cases of WE appear to be associated with the JAKARTA trial. At the FDA’s direction, Sanofi undertook to perform a full scale examination of every patient in the JAKARTA trial, including MRI testing if necessary, to be completed within 90 days. We have no information on whether or not those tests were performed or results reported. We have heard reports of two additional cases of WE associated with Fedratinib occurring in December, after Sanofi abandoned the trial, but we cannot yet confirm that. Sanofi began putting the pieces together and, November 11, 2013, summarized findings in a letter to Dr. Ann Farrell, Director of FDA’s Division of Hematology Products. The FDA was deeply concerned about the safety issues raised by Sanofi and initiated a phone conference. 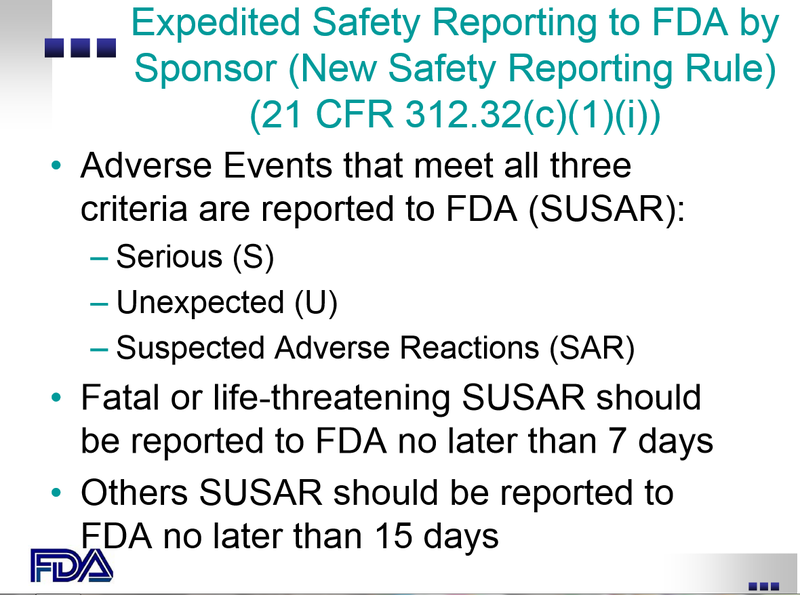 The following day the FDA placed a clinical hold on the trial pending measures to bring in a new safety review board and approval of a plan for assessment and mitigation of WE. 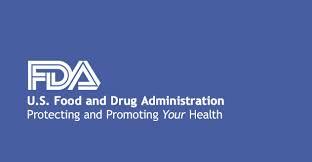 The FDA also requested information on associated heart failure issues. Over the weekend, on November 16, Sanofi convened a high-level board of neurologists and directors to review the data. The panel was surprised by the safety findings and lack of consistency in followup and communications gaps. 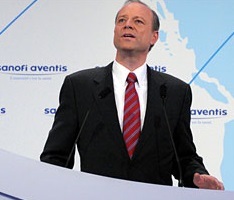 It concurred with Sanofi CEO Christopher Viehbacher that the risk of continuing probably outweighed the benefit. The summary Sanofi provided us Friday, November 15, a day in advance of the Sanofi weekend meeting is consistent with this version of events. Even at that late date the decision to abandon the trial had not yet been taken. Thursday, November 14: A patient told MPNforum she received notice from Sanofi to discontinue Fedratinib. Friday, November 15: A Sanofi spokesman calls MPNforum to alert patients that a “temporary clinical hold” had been placed on the drug due to four cases of Wernicke’s encephalopathy, one fatal. Sanofi would issue a press release on Monday and would make medical experts available via teleconference. Monday, November 18: Sanofi pulls the plug on all Fedratinib clinical trials. What remains unanswered are the most difficult questions of all? Why did the safety systems fail? On November 15, Sanofi reportedly agreed to examine every JAKARTA patient, including MRI if necessary, and report back to the FDA in 90 days. If this is true, what happened? Until a complete review and disclosure is made we have no idea how many actual cases of WE arose from the trial or the severity and persistence of the disease. How many cases were discovered after termination of the trial? It never should have happened. .. In the Spring of 2013, a 71 year old woman with myelofibrosis became acutely ill while on a clinical trial for a new drug. In addition to nausea and diarrhea she was disoriented and confused. She was referred the Mayo Clinic (Rochester) neurology department for examination. The report came back: Wernicke’s encephalopathy, brain lesions. JAKARTA was a big, international clinical trial of Sanofi’s myelofibrosis drug, fedratinib (SAR302503). Over 100 sites worldwide. At every site, an investigator, a physician, was required to identify unanticipated events that jeopardized patient health. The onset of confusion, vision issues, cerebral bleeding, staggering was just such an unanticipated event. The physician/investigator on-site is required to report such events to the local Institutional Review Board (the IRB). The IRB was obligated to review and report to trial overseers, the Data Monitoring Committee and the trial’s Sponsor, Sanofi so all the site investigators could be notified. In the US, they were required to report such events promptly to the FDA and to the Office of Human Research Protection. Nothing happened. The research protocol wasn’t changed. No new consent forms signed. No one seemed to have learned of the event. Why have both the FDA and Sanofi refused to lay out the plain details of what occurred, where and when? Until we expose and fix holes in the safety monitoring systems underlying Clinical Trials, we enter these trials with deep mistrust. The MPN-patient initiative to include a Patient Advocate in clinical trial arose from these events. Without bringing clinical trial systemic failures like JAKARTA into the sunshine of public discourse, we have no hope of making necessary repairs. As patients, our clinical trial risks should not extend beyond the potentially negative effects of an investigative drug. Clinical trial can be a high-wire, high risk activity. We cannot rely on torn safety nets. There is another casualty to all this: SAR302503 itself. For those patients helped by Fedratinib, the admittedly overdue clinical hold meant there remained only one JAK inhibitor available for treatment of myelofibrosis… and it had already failed to work for several patients on JAKARTA. Several physicians who have worked with Fedratinib over long periods of time in Phase I/II trials saw good results and no indication of Wernicke’s. While potentially devastating, Wernicke’s encephalopathy, caused essentially by a thiamine deficiency, is easily treated at early stages. Why did Sanofi elect to abandon the drug formally — in a November 18 letter to the FDA and in its general press release — instead of proposing screening and remediation programs?